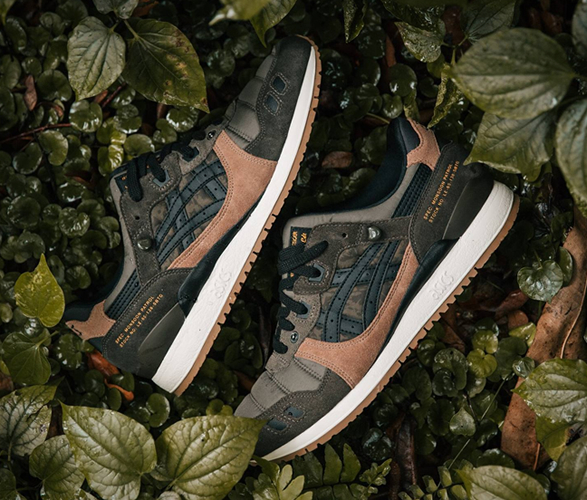 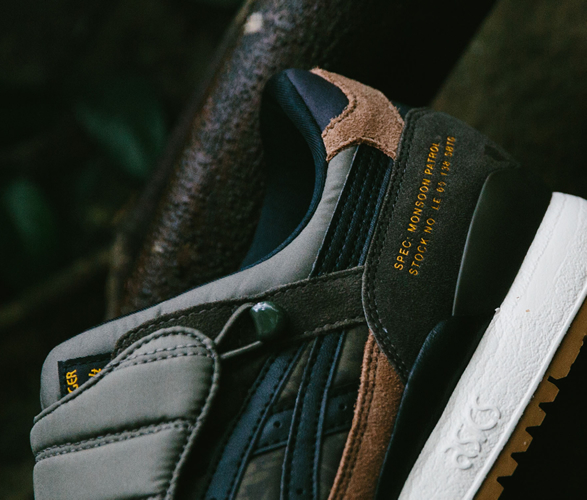 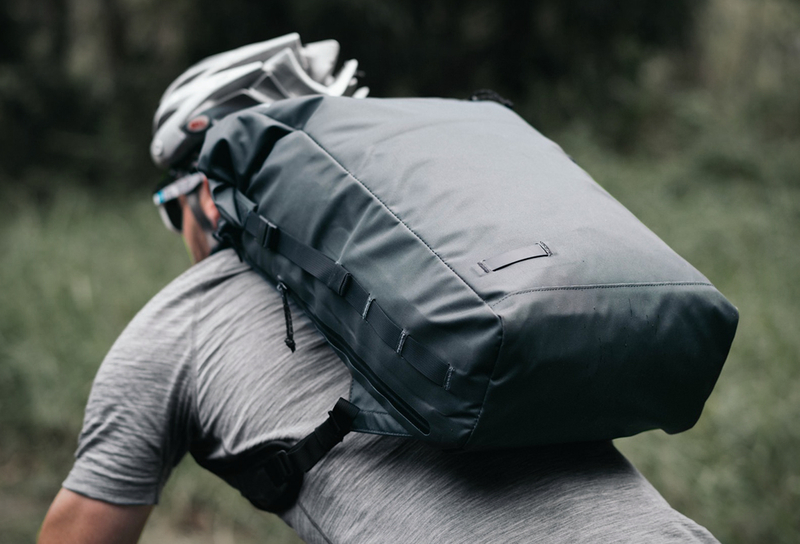 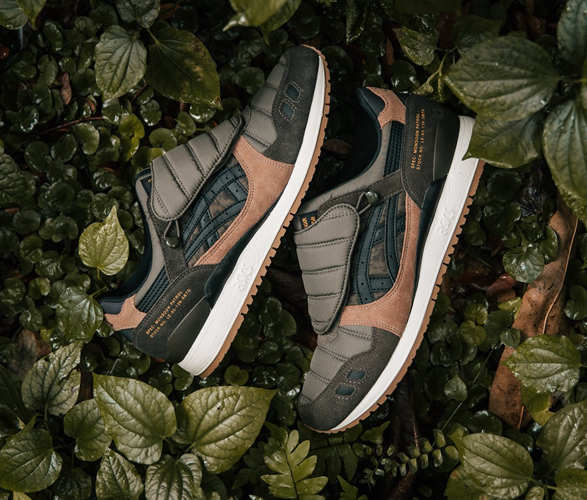 Asicstiger has teamed up with Singapore-based footwear retailer Limited Edt and Singapore´s OG sneaker artist, Mark Ong, to roll-out the highly-anticipated GEL-LYTETM lll shoes – Monsoon Patrol. 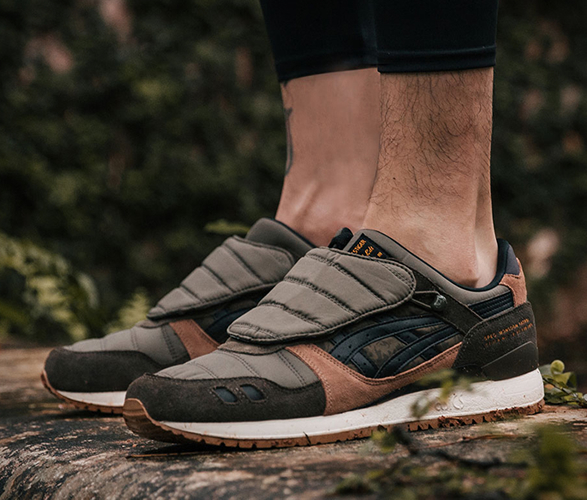 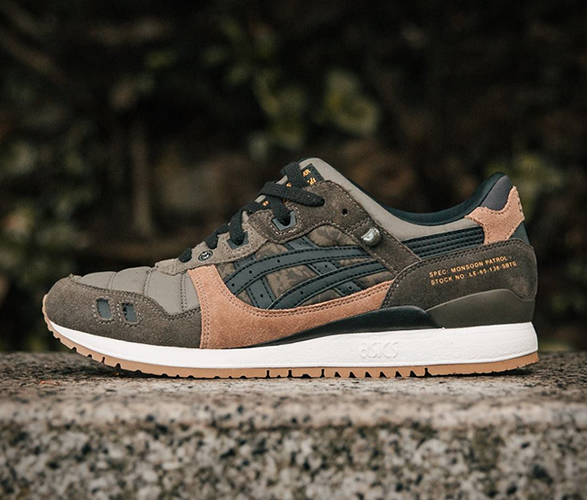 Made to conquer any inclement weather, the special edition GEL Lyte 3 is equipped with a triple-density sole, nylon toe box, gutter hook system, and removable shroud. 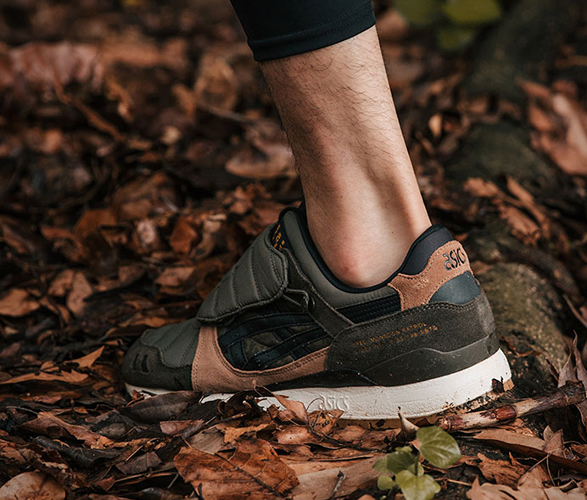 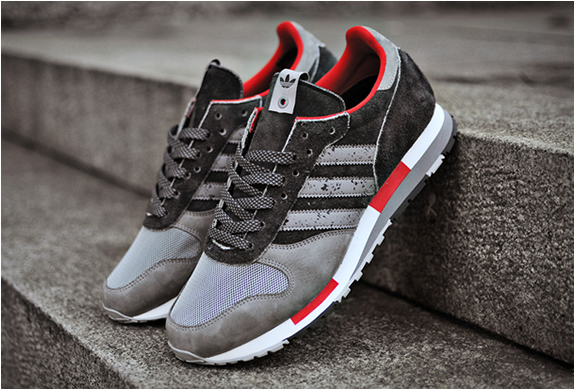 The split tongue classic is completely rebuilt to withstand any harsh conditions. 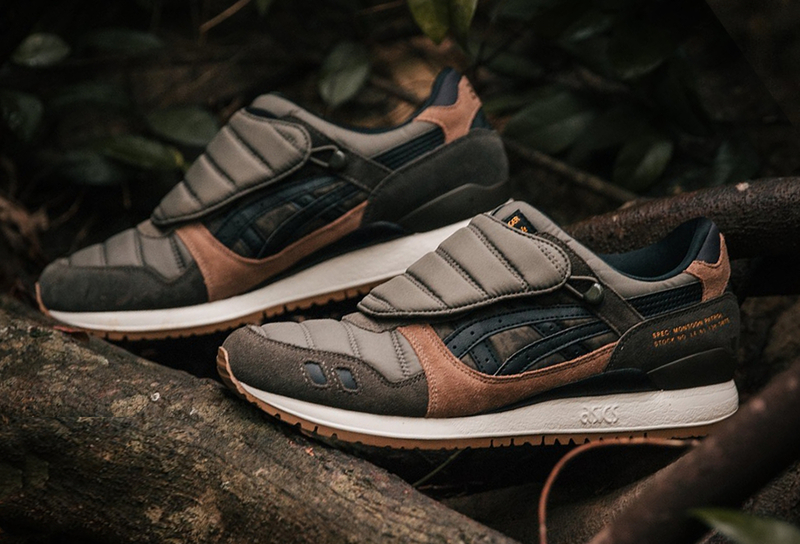 The cool sneaker comes in a green colorway, offset with camouflage hits and light brown suede panelling.